Adults with learning disabilities are often legally competent to handle their own day-to-day affairs. However, a person with a disability may wish to have some assistance from a parent, sibling, spouse, or friend in handling certain complex or extraordinary matters. For example, an individual with dyscalculia may desire the help of another person in handling financial affairs. Similarly, an individual with a psychiatric disorder may benefit from assistance in making medical treatment decisions, especially if the individual may be deemed incompetent to make medical decisions for periods of time in the future. Arrangements for this help cannot always be handled informally. For example, in the context of making medical decisions, privacy laws, including the Health Insurance Portability and Accountability Act of 1996 (commonly known as “HIPAA”), may prevent another person from accessing the individual’s medical records and information. The durable power of attorney may provide a solution. Many of us are familiar with the use of a durable power of attorney (“POA”) to allow a family member to act for an elderly parent who is no longer able to manage personal, financial, and/or medical affairs without assistance. However, the POA may be used far more broadly. For example, if an individual will be outside the United States for an extended period of time, he or she may execute a POA designating a trusted person to handle matters of all types that arise during such absence. Similarly, an individual with a disability that negatively impacts functioning in a particular area may find it helpful to execute a POA granting a designated person the authority to handle matters in that area. A POA is a document that an individual (often called the “grantor”) executes in order to appoint a trusted friend or family member to act for the grantor. 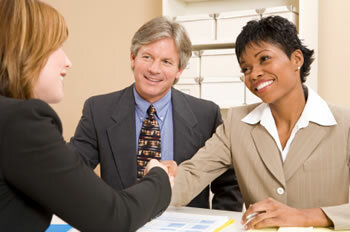 The person appointed is called the “attorney-in-fact” or the “agent” of the grantor. Often, a second person is designated to act as attorney-in-fact, in the event that the first person cannot perform the duties. An attorney-in-fact does not need to have a law degree or a law license. A POA can be general, or it can set forth specific functions that the attorney-in-fact may perform. These areas include personal matters, financial decisions, and medical affairs. There may be one comprehensive POA granting the attorney-in-fact the authority to act in all of the specified areas, or there may be separate POAs for each area. The term “durable” means that the POA shall continue in effect even if the grantor is subsequently deemed incompetent. This means that the POA will be effective from the date of execution until the grantor either revokes the power or until the grantor dies. Competence to execute the durable power depends upon the ability of the grantor to understand what he or she is doing at the time the power was executed. This is the principle advantage of the durable POA over the non-durable POA, which ceases to be effective if the grantor is deemed incompetent. Language to make the POA “durable” must appear in the POA. The necessary wording varies from state-to-state, but often indicates that the POA shall remain in full force and effect despite disability, incompetence, or incapacity (whether mental or physical) of the grantor, until the revocation of the POA by the grantor or the death of the grantor. A licensed and experienced legal practitioner can help you determine exactly what is required to make a POA durable in your location and circumstances. What financial powers can be granted by a power of attorney? A POA can grant the attorney-in-fact the authority to handle a wide variety of financial matters and tasks. Some everyday examples might include signing checks from the grantor, endorsing and depositing checks made out to the grantor, and otherwise managing the grantor’s finances. The attorney-in-fact may also be authorized to buy and sell stocks, bonds, and real property on behalf of the grantor. Finally, POAs often authorize the attorney-in-fact to represent the grantor in tax matters, to handle insurance matters for the grantor, and to retain counsel to otherwise protect the grantor’s interest. What medical powers can be granted by a power of attorney? A POA can grant the attorney-in-fact the authority to make a number of medical decisions. For example, the POA might enable the attorney-in-fact to authorize admission of the grantor into hospitals, to agree to medical care for the grantor, and to authorize the withholding or termination of medical treatment for the grantor. How do you obtain a durable power of attorney? Some states have durable medical POA forms and living will forms available online at no charge. It may be prudent, however, to consult with your attorney to determine whether a durable POA is the best course of action for you. This will enable your attorney, if appropriate, to develop a POA tailored to your specific circumstances. This article has been prepared for general information purposes only. The information presented is not legal advice and is not to be acted on as such. This article was generously written and provided by White & Case LLP. My son is 24 years old. From kindergarten to adulthood he was diagnosed with learning disabilities. Since the age of 16 he has been taking medication for schizophrenia. I have been caring for my son since day 1.Can a durable power of attorney help me to make medical decisions for my son ? A durable power of attorney gives you the legal right to make medical decisions for your son, but it doesn’t necessarily help you make the right decisions. The decision-making process should be guided by collaborative efforts among your son’s medical professionals. You may be able to discuss this option with a lawyer at no cost to better decide if this would be the most appropriate step to take in your decision-making process. It would also be helpful to discuss this option with your son’s doctors to see if they agree and support this path. My mother died and I tried to do everything and had help with estate bills etc. She pretty much did or helped me do everything. Im not looking for anything but some help with adult things. to help with the estate and financial part my mother left me that is just too much. She had a Stroke three years ago. We have no family so I not knowing anything about anything was now hit with her life and keeping her safe and taking on things Ive never dealt with before. Her adopted brother which I hardly Knew offered help. I worked so hard running between appt. DR visits speech etc. and working as a bartender with day and night shifts. We worked so hard she finally could be left home alone for a few hours a day she was at 80%. Everything was slowing down life was not normal but we could smile again. She went into a hospital for a minor absence and from staff not washing their hands she caught a very disgusting infection which took her life a year later. Im telling you all of this not for sympathy I just want you to know where and why I need help. Now still not figured all out estate and my financial and taxes and stocks etc. Im going to Please ask you for help, advice and or resources for helping me learn how to be a grown up and do grown-up things. Is there any advocate help for someone in my situation? Im really on the verge of a mental break down Im so overwhelmed and nobody seems to understand so Im writing you. I need someone to help or assist me on the right path for my future. One place that assisted my grandmother with estate planning was the local Senior Citizen Center, which had a lawyer that could help seniors at a discounted rate. It sounds like you are faced with a very overwhelming situation. If the lawyers at your local Senior Citizen Center are not able to help you – since you’re not a senior citizen yourself – you might check with Legal Aid of Southeastern Pennsylvania in Chester. Their address is 410 Welsh Street, Chester, Pennsylvania 19013. Intake phone: (877) 429-5994. Website is http://www.lasp.org If they are not able to help you, they should be able to suggest alternative local resources. I tried getting help from places like that when she was alive. It being almost impossible to get anyone to listen long enough without being hung up on because she was so young and she had a good job. I just dont know what Im doing and taxes her stocks and her damn estate she worked so hard never to enjoy it. Everyone says dont trust anyone with money matters. Im just looking for help on financial adult issues and following the laws and putting this behind me. When I get done all of this Im going to send you the help guide that I already started. Yes, Your States, Disability Rights Advocate. Talk to them.